Hire our 7 piece outdoor Plantation table and chairs with its ample space to comfortably seat 6 people. Rent stylish, spacious outdoor furniture for a home with a big entertainment area. Ideal to rent for the family or entertaining on your outdoor patio or terrace. 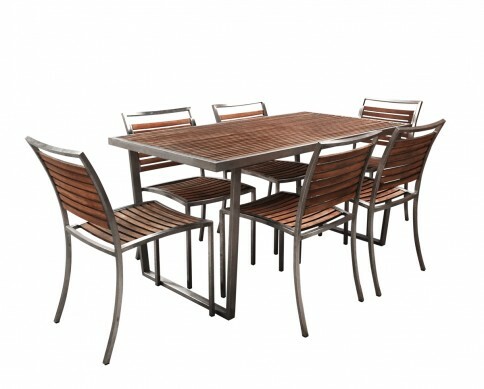 This setting features timber and stainless steel construction and includes a 150cm x 80cm rectangular table and 6 matching chairs.